Join us as we celebrate the greatest King and new life that can only be found in Him! Our culture is shifting around us all the time on various issues. How do we stand firm in our faith yet love people well at the same time? Join us as we discover how we can live out grace and truth and still have great influence in our culture. You can’t do life alone. We at Radiant Life believe that with a passion which is why we have Missional Communities! This is a great way to not only connect with one another, but also to connect with the community. We will eat, grow and serve together.  It’s been amazing to see what God has been doing at Radiant Life over the past 3 years! We are a church that is not only growing rapidly but is seeing much of that growth from people meeting Jesus for the first time. As encouraging as this is, we believe God wants to use what He has accopmlished for a launch pad for even greater Kingdom impact! See our lobby for more details.